Mike, Dustin, Lucas and Will are the protagonists of the Netflix TV show Stranger Things. Mike, Dustin, Lucas and Will are the protagonists of the Netflix TV show Stranger Things. The show is set in a small town in the 80s where everyone knows everyone, but a peculiar incident starts a chain of events that leads to the disappearance of one of the protagonists. Mike, Dustin, Lucas and Will are best friends and when Will disappears the others will risk it all to try to find him. In Season 2 Will is back, but something has changed. If you are interested in the bikes please note they use are custom made with vintage and more modern parts. If you manage to find vintage BMX bikes then it should be more than enough, or you can buy a modern one and "upgrade" the seat to an old-school one and repaint the bike in silver color. Mike Wheeler, portrayed by Finn Wolfhard, is the ringleader of the three friends. He has a crush on Eleven, the girl with supernatural powers. Finn Wolfhard wears custom-made or rare vintage apparel that are not for sale anymore so we did our best to find the most resembling items so you can dress like Mike Wheeler. 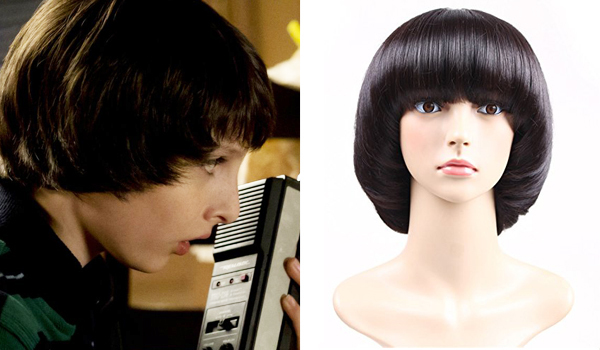 The haircut that Finn Wolfhard has in Stranger Things for his Mike Wheeler role is a bowl cut, which is very dowdy so you probably are not rocking it at the moment..
A quick and easy fix is to use a wig ! 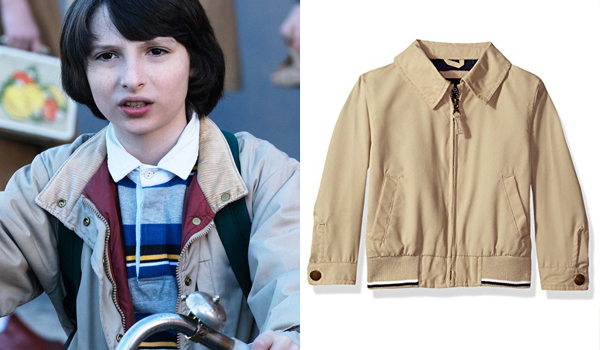 The jacket that Finn Wolfhard wears in Stranger Things is a tan / beige jacket with a red interior. This London Fog jacket is similar and has a 80s feel to it. 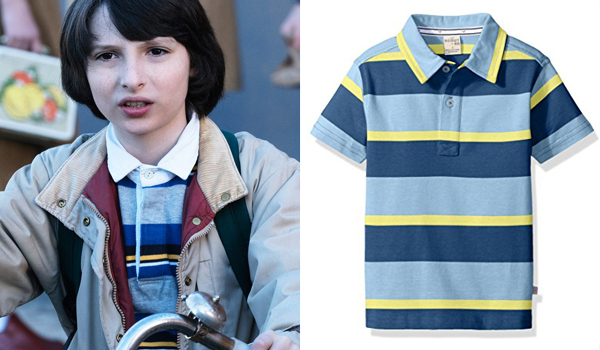 The shirts that Finn Wolfhard wear in Stranger Things are striped polo shirts with varying colors. This Scout + Ro shirt is a close match that happens to be high quality and affordable. 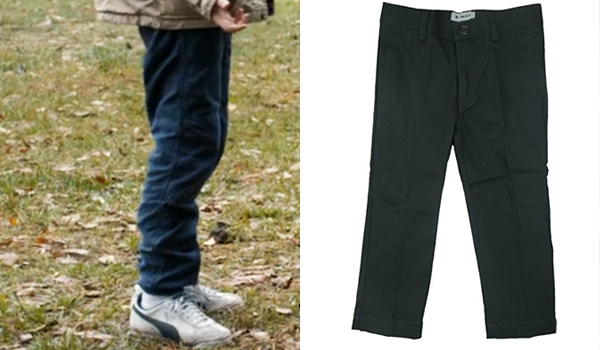 The pants that Finn Wolfhard wear in Stranger Things are dark green pants with a light velvet feel to them. 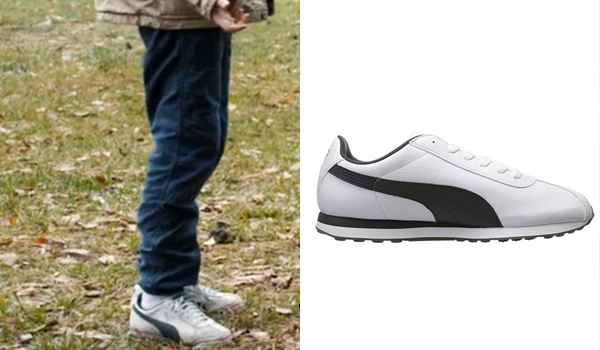 The shoes that Finn Wolfhard wear in Stranger Things are white sneakers with a dark "swoosh". They are White/Dark Shadow Puma Turin. 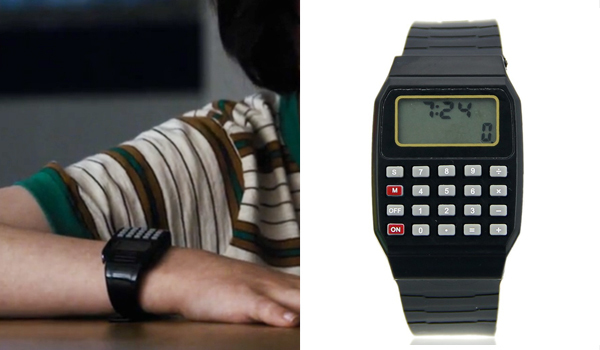 The watch that Finn Wolfhard wears in Stranger Things is a black calculator watch with 5 columns and 4 rows of gray buttons. This is the exact model with the red colored buttons being worn out. 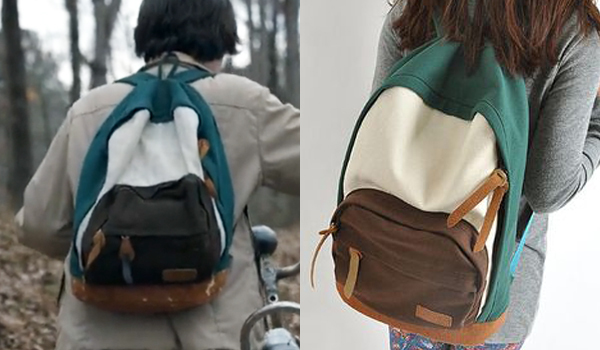 The backpack that Finn Wolfhard wears in Stranger Things for his Mike Wheeler role is a teal, white and brown backpack. This is the exact model. Dustin Henderson, portrayed by Gaten Matarazzo, is the toothless hilarious friend of the crew. Gaten Matarazzo also wears custom-made or rare vintage apparel that is not for sale anymore so we did our best to find the most resembling items so you can dress like Dustin Henderson. 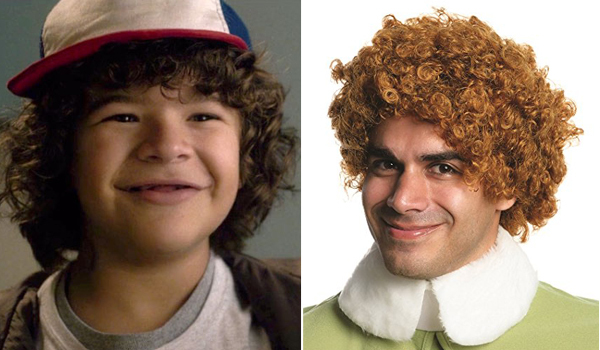 Gaten Matarazzo in Stranger Things for his Dustin Henderson role has curly blonde funky hair. This wig is a cheap and great way to replicate his hair style. 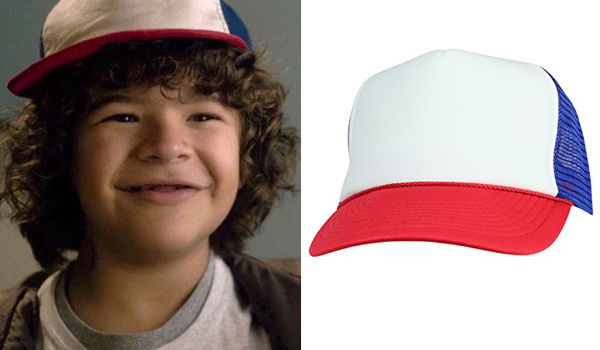 The hat that Gaten Matarazzo wears in Stranger Things for his Dustin Henderson role is a red white and blue trucker hat. 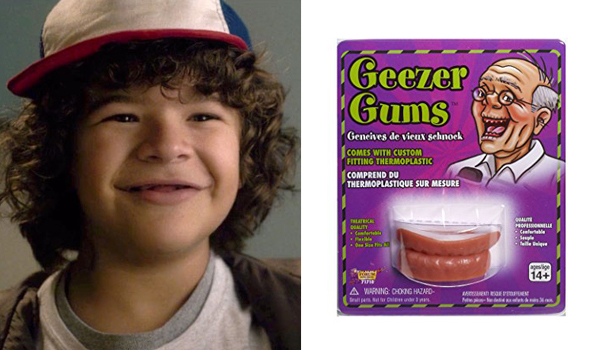 Dustin Henderson is toothless so you'll need fake gums to hide your teeth. The Geezer Gums are perfect for that. 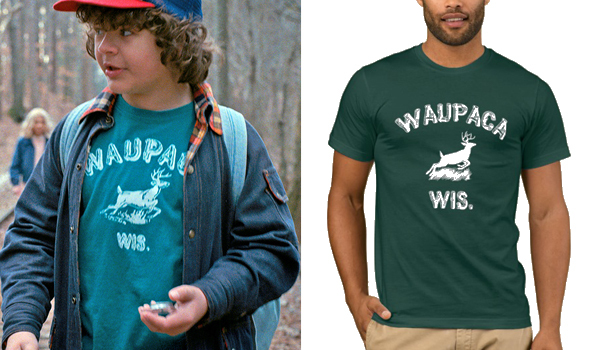 In the episode 5 of season 1 (The Flea and the Acrobat) of Stranger Things, Gaten Matarazzo wears a green Waupaca Wisconsin shirt for his Dustin Henderson role. 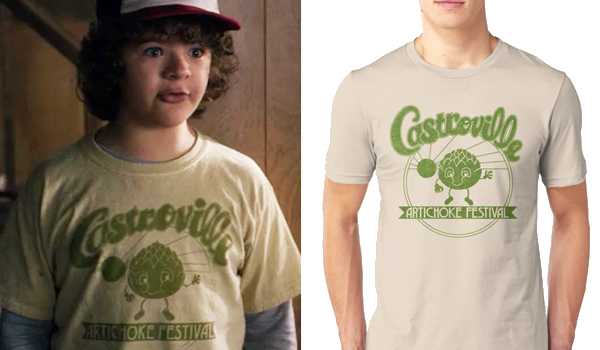 In the episode 6 of season 1 (The Monster) of Stranger Things, Gaten Matarazzo wears a Castroville Artichoke Festival shirt for his Dustin Henderson role. 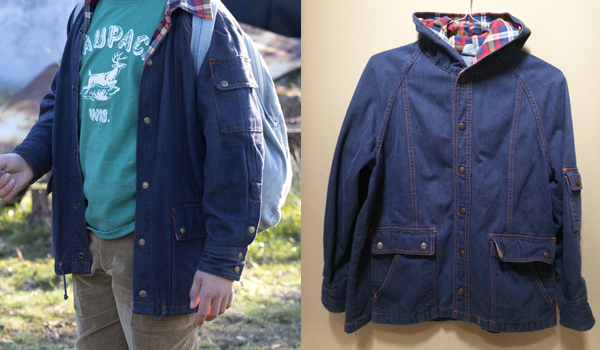 The jacket that Gaten Matarazzo wears in Stranger Things for his Dustin Henderson role is a vintage jacket that is not for sale anymore. You can try finding it in thrift shops but we recommend buying a denim jacket and sewing some plaid fabric on the collar for a similar look. 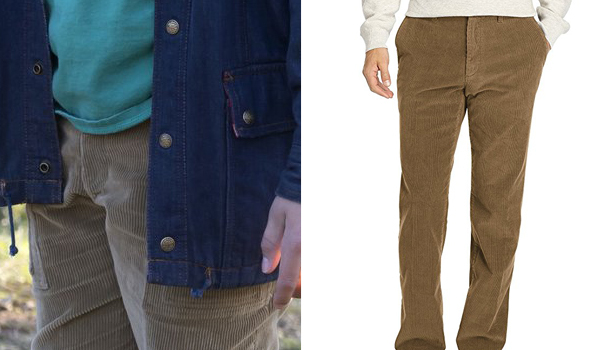 The pants that Gaten Matarazzo wears in Stranger Things for his Dustin Henderson role are light brown corduroy pants. The shoes that Gaten Matarazzo wears in Stranger Things for his Dustin Henderson role are all white athletic shoes with 5 stripes. 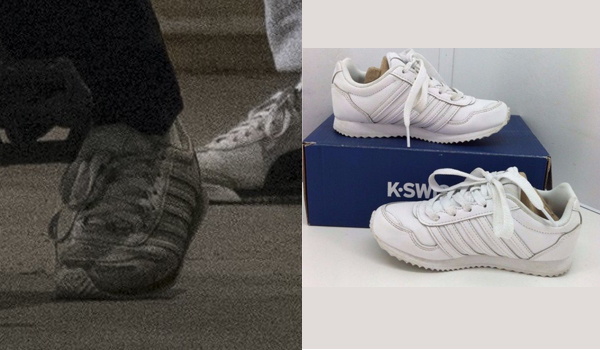 They are a previous model of the K-Swiss Verstad shoes that, if you're lucky, can be found on ebay. 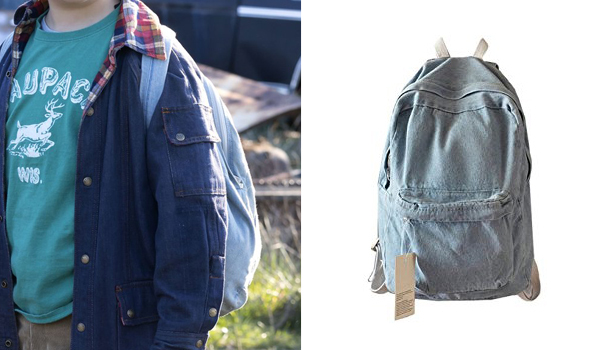 The backpack that Gaten Matarazzo wears in Stranger Things for his Dustin Henderson role is a light blue denim school backpack. This is the same model that is used in the show. Lucas Sinclair, portrayed by Caleb McLaughlin, is one of the best friends of Will. Caleb McLaughlin also wears custom-made or rare vintage apparel that is not for sale anymore so we did our best to find the most resembling items so you can dress like Lucas Sinclair. 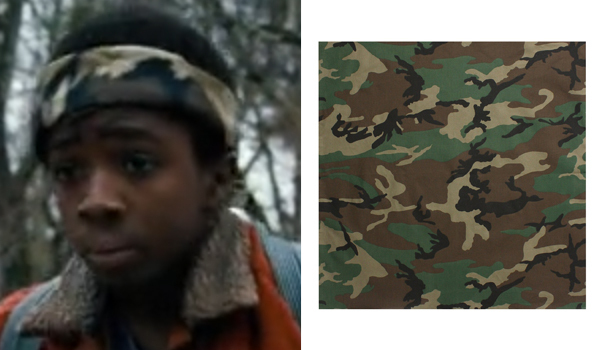 Caleb McLaughlin in Stranger Things for his Lucas Sinclair role puts on a camouflage bandana to find his friend Will. 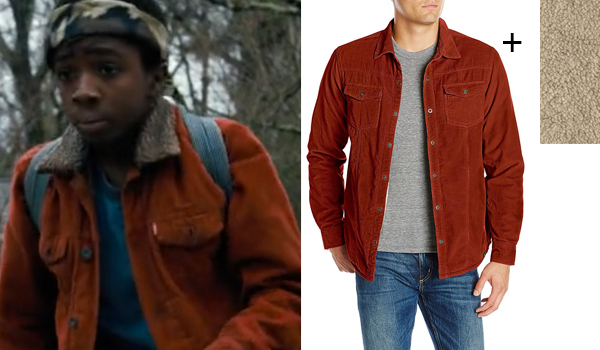 Caleb McLaughlin in Stranger Things for his Lucas Sinclair role wears a red corduroy jacket with sherpa lining. To replicate his style we recommend this jacket and sewing on the collar this sherpa fabric. Caleb McLaughlin in Stranger Things for his Lucas Sinclair role wears a pair of dark sneakers with white accents. 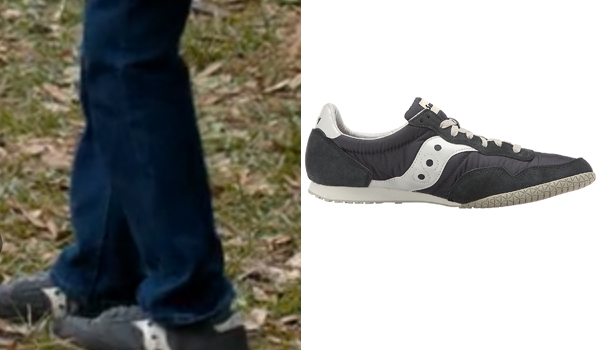 They are Saucony Bullet sneakers in Navy and Grey. 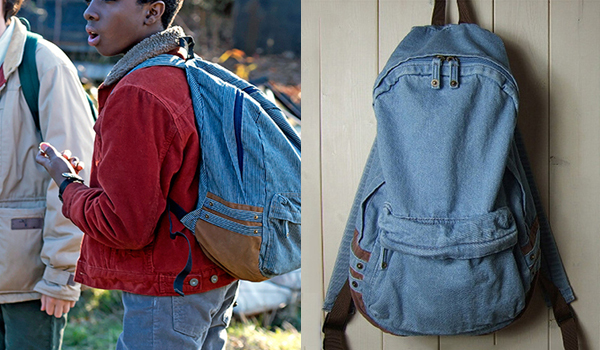 Caleb McLaughlin in Stranger Things for his Lucas Sinclair role uses a denim backpack with brown accents. This is the exact same backpack. Will Byers, portrayed by Noah Schnapp, is the kid that disappears without a trace, his friends and family make it their mission to rescue him. He is an oddball boy, who is proficient at hiding in his favorite place: Castle Byers. To complete his look, don't forget to put on a pair of light blue jeans and a pair of black sneakers. 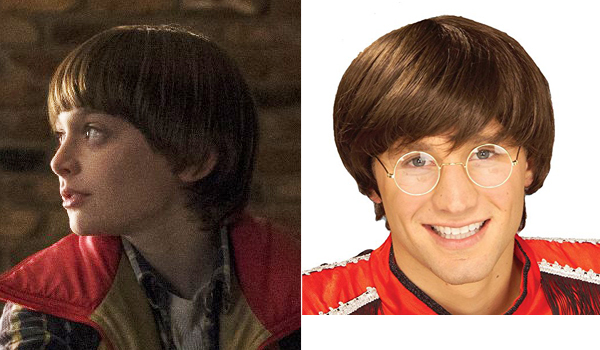 Noah Schnapp in Stranger Things for his Will Byers role has a moptop haircut with dark blond hair. 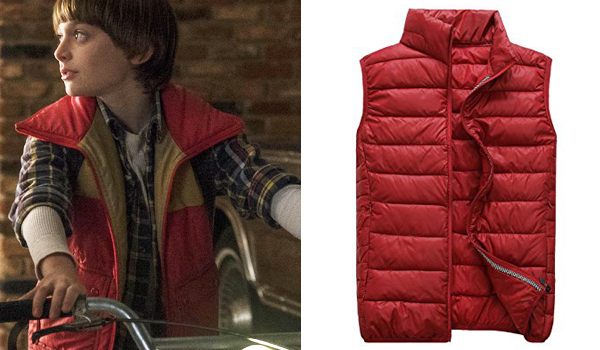 Noah Schnapp in Stranger Things for his Will Byers role wears a red puffer jacket with a yellow band. This jacket is a close match and you can sew some yellow fabric on top to replicate Wills'. 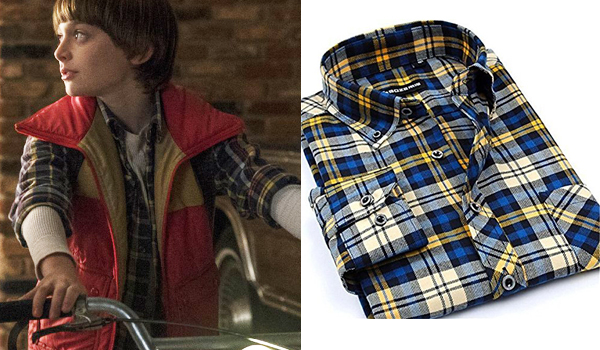 Noah Schnapp in Stranger Things for his Will Byers role wears a blue and yellow plaid flannel shirt. Pair it with some light blue jeans and you've nailed Will's style. can you update the links?? im gonna use this website for all my costume needs! this helped me out a lot! I can now buy all of their costumes! The jacket for mike is out of stock, will they restock?